China set a new record last year in terms of how much copper it sucked in from the rest of the world, Reuters has reported. Imports of refined metal reached 3.75 million tonnes last year, up 16% from 2017 and ‘eclipsing’ the previous high of 3.68 million tonnes registered in 2015. 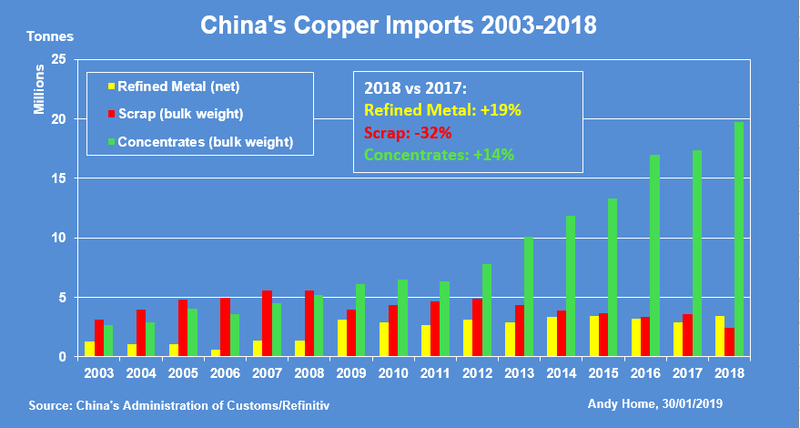 The strength of China’s import appetite is hailed as ‘surprising’ given the country’s own refined copper production increased 8% to just over 9 million tonnes in 2018. Also, new smelting and refining capacity continues to be built. There was no shortage of mined concentrates to feed it last year thanks to a ‘robust performance’ by the world’s copper mines. China also imported more copper concentrates than ever before, Reuters points out. In fact, it took in close to 20 million tonnes in gross weight terms. This is partly attributed to ‘simple restocking’ needs following relatively weak imports in 2017. And yet, it’s also down to scrap, the ‘often overlooked’ component of the copper supply chain. 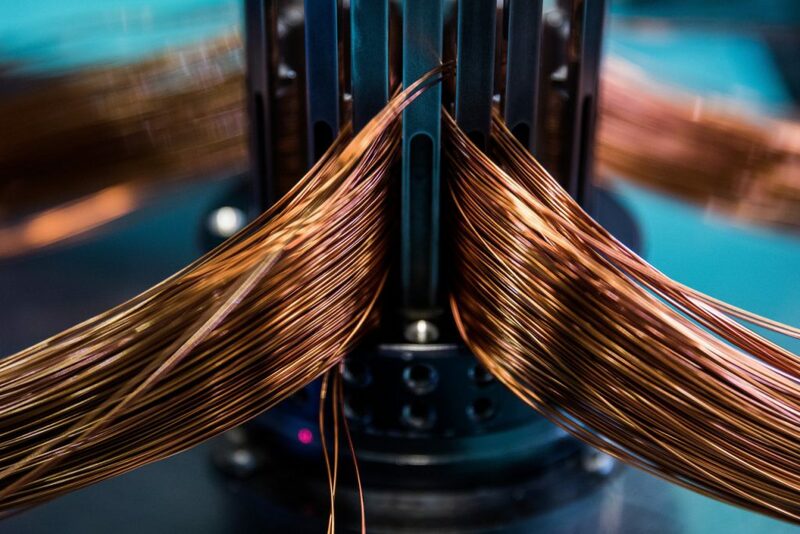 Analysts observe that copper scrap imports slumped last year as Beijing tightened purity rules on the type of material it is prepared to accept, part of a broader campaign against “foreign waste”. ‘And with more rule changes coming this year, scrap will remain the wild card in China’s copper import picture,’ so Reuters declares.